That’s what we pay our daughter every week to gather the trash from all the bedrooms, put new bags in the cans, and bring all the garbage downstairs to stuff in the bag to go out. 50 cents a week for one of her chores. Ah, chores – a subject of great debate. 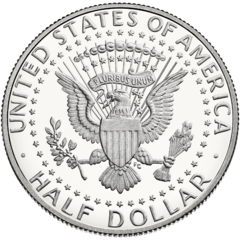 Our daughter is around 5½ years old right now so 50¢ is a decent amount of money for her. Granted she seems to figure out ways to get money from grandparents and on holidays (not from us) and from doing other chores, so she somehow always seems to have more money in her wallet than I do… and that’s even after we make her give half of whatever she gets to the bank! It teaches kids responsibility and helps them to understand that money doesn’t grow on trees. It’s a reward for kids for working – most of us don’t work for free, so why should our kids? Chores tend to get done, and THAT’s a good thing. It sends the message to kids that they don’t need to help out unless they’re getting paid. It gives kids an idea that they’re going to get paid for chores in the future. Do you get paid when you vacuum your own house? You might want your kids to know that everyone chipping in is the way a household should be run – as a team. Paying your kids to do this might undermine this whole attitude. As kids grow older, their expectations of their rewards increase… in other words, they want a raise. Yikes! We’ve tried to strike a balance with our daughter. When it comes to the regular day-to-day chores such as cleaning up her toys that she plays with, we make that an expectation of her with no money involved (although, at five-years old, that’s still a battle). However, when we come up with other chores such as gathering up the garbage to go out, we do pay her a little bit. We think that gives her an opportunity for some responsibility and a chance to earn a little bit of money. One of my financial mentors told me he and his wife never paid their daughters to do any chores. He said they’ve always done a majority of the cleaning and the one that still lives at home does a lot of the cooking as well (they’re both older now). He said that although they never got paid for chores, whenever they wanted something, they would generally just buy it for them. Obviously, we can have a whole discussion about the holes in this plan and I’m sure his wife might tell me differently. But I will say that I know both of his daughters and both are very responsible and not very spoiled like you would think they would be. Although we periodically buy our daughter things at the store, most of the time, it needs to come out of her pocket. Once those words come out of our mouth that she’s paying when she wants something at the store, she takes a step back to think about it. She really hates spending her own money (great trait for a kid to have!) and most of the time she’ll decide that she doesn’t want to waste the money and takes a pass on the purchase. I think that has really helped in the money management case. We do have a smart girl (of course, what parent doesn’t say that?! ), but hopefully, the combination of her chores for money and needing to spend her own cash on things will help her to lean some of the responsibility she needs to have with money. More importantly though, we don’t want our daughter to have to “work for the man.” In fact, her lemonade stand was a pretty good lesson for a young kid on how NOT to become a good employee and, instead, work for yourself. I’m hoping to continue to raise my daughter to understand all the aspects of money and let her learn the direction she wants to go with it without forcing her in any direction… call it a Rich Dad education if you will! So although we do pay for chores, we don’t look at it as anything more than one avenue of the importance of understanding how money works. Again, it’s up to my daughter the direction she pursues in life, but I do know that if I had understood the importance and power of passive income when I younger, I could have taken advantage of that much earlier. Money doesn’t solve the world’s problems, but it can give you the power of choice and help buy you freedom. My hope for my daughter is that she can make some smart financial decisions early on giving her the freedom to chase after her dreams for most of her life without money running interference. If you have kids, did you ever pay them to do chores? Even if you don’t have kids, what’s your opinion on the idea of this – are you for or against kids getting paid to do chores? ← Are HSA Plans the Best Bang for Your Buck? Looks like you are doing a great job teaching your daughter to be financially responsible. I think it’s a good way – you will give her allowance anyway, why not let her “earn” it? Have you taught your daughter about investing yet? For example, invest her money in her “brokerage account” and get 10% return every year. She’ll get an idea of compound effect. Thanks, Charlie – I’ve taught her about bank interest (and how paltry it is!). We’re building up her savings with her money (she’s up to around $250). Hopefully this year, we’ll shift that over to a Roth IRA for her and I’ll probably get her going on some dividend stocks. She’s a smart girl but still young so she’ll probably just shrug her shoulders when I explain it, but hopefully she’ll be thanking me later! At school, they have each week another task they have to do. It is a mix of fun and actual working tasks. At home, we have them do the socks on Saturday. My current view: the kids should understand that there are task they have to do for free. On the other hand, they are also entitled to get some personal budget to learn the value of money. The idea from Maggie on http://northernexpenditure.com sounds interesting: have a list of tasks to do for free. after that, ask for tasks to do for money. I like your view – have some tasks that are expected and some they can do for money. I’m sure we as adults over-complicate all this, but sometimes you need to. It’s not that hard to be a parent, but it’s tough to be a good one! Anyone can be their child’s friend and handle everything for them, but in the long run, those are the kids that are going to grow up with problems. My parents did exactly the same thing for me when I was growing up and I feel like it taught me a lot about saving. It also taught me to prioritize my savings for the things I really wanted versus just blowing it on candy. Great job! Thanks John – I think that most parents try to take the use the best lessons they learned from their parents to pass onto their kids. My daughter has definitely learned to prioritize just like you did… although she does still think twice when she sees candy! !